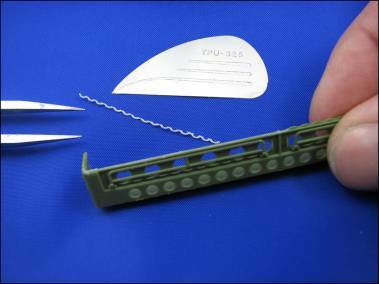 The 35002 Tie down set for modern armored fighting vehicle can be hard to use, pieces are thin and cast on a big casting plug and once cut the Tie downs are fragile. 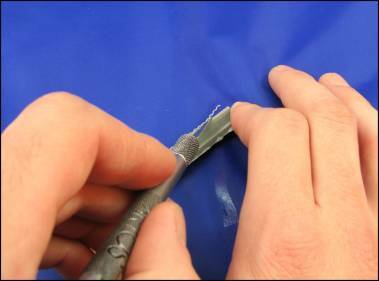 But the casting plug allows Tie downs to be protect in his package and to facilitate your work of cutting the Tie down is put on a fine line in resin who will serve you as furrow to cut the part, the thickness is adapted for thicker saws of modeling. 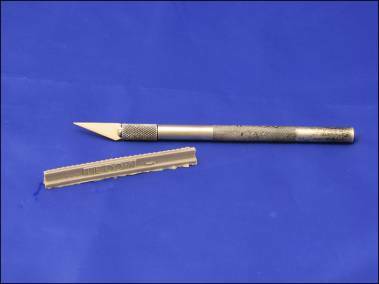 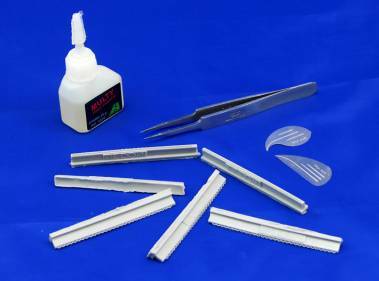 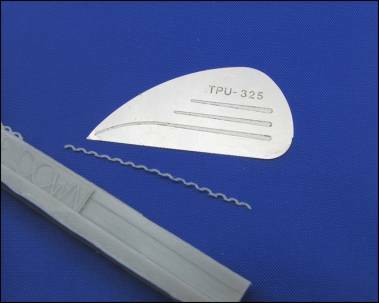 First method is use small modeling saws in photo etched parts available in the Hasegawa’s tools line products as item no HSG 71103, then saw the first loop, and you can follow to saw under the line of Tie downs until the dimensions as you want. 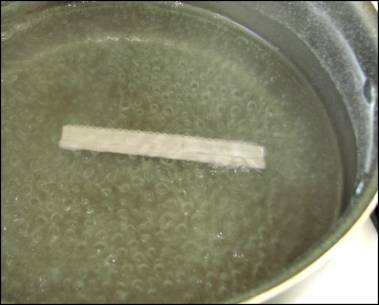 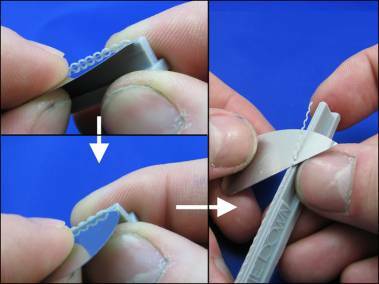 The second method is to plunge Tie Down into boiled water during 3-4 minutes, remove the piece with tweezers, with a modeling cutter cut slowly one by one the loops until the dimensions as you want, Let the resin dry and cool correctly before being able to manipulate it for the fixing. 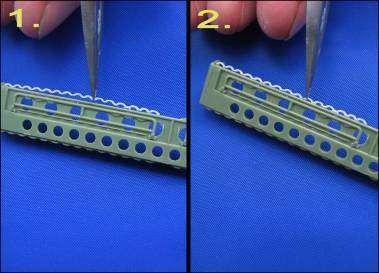 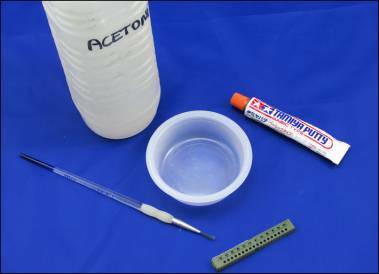 For the fixing, Apply a small drop of glue cyano to some arches, and put delicately Tie down in the deliberate place, then to fix the set apply a juice of diluted putty with some acetone, once dry your Tie Down is fixed!